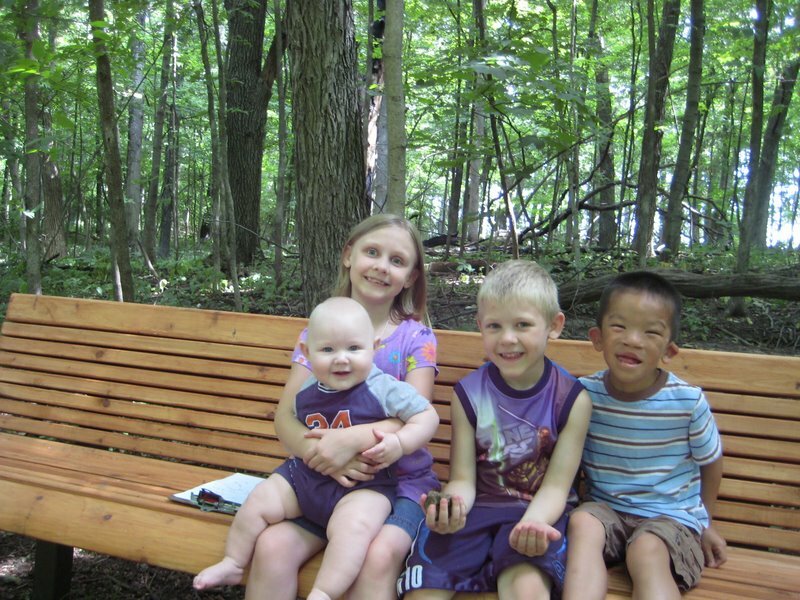 Today Molly is sharing her son Evan’s story. Evan’s is one of the most amazing stories I remember from our time at New Day… mostly because the transformation was just so visible. For those who are just joining us, we’re in the final days of a fundraising drive for NDFH’s medical fund. You can donate by clicking on the ChipIn button on the side of the blog; all funds go directly to NDFH. And remember, all donations are tripled by matching grants! We are about 70 percent of the way to our goal… a few more days to reach the final 30 percent. 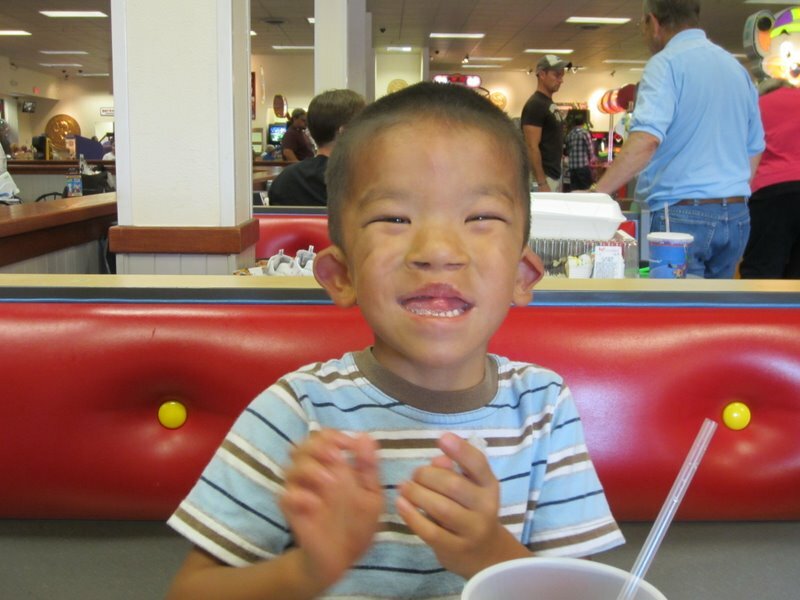 Can’t wait for us to reach our goal so that we can help more little ones like Evan. It was mid-January 2009 when I saw Evan’s sweet face for the first time. However, his story started long before that. 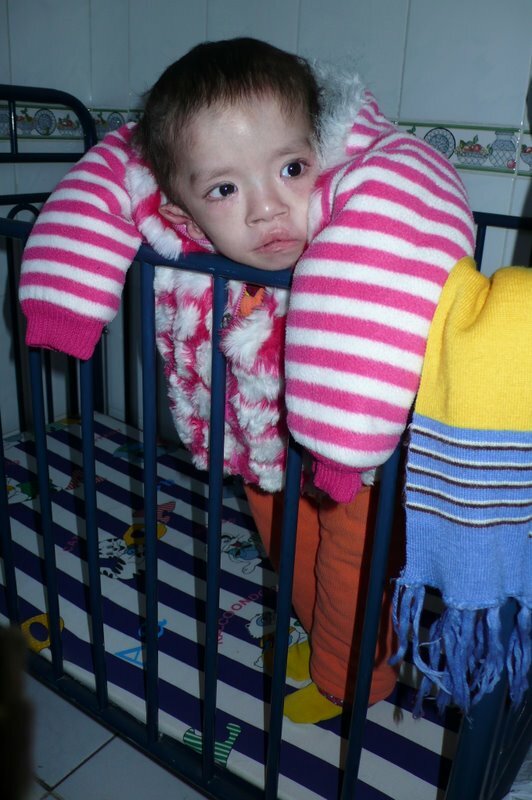 Like so many special needs children in China, it is a miracle that he is alive. Born with a bilateral cleft lip & palate as well as other syndrome-related issues, Evan was in the last few days of his life when he arrived at New Day. He arrived at the close of December 2008; he was two years old and weighed in around 10lbs. Evan was, literally, skin and bones. On that mid-January day, I did not expect to see the face of my son, but I did. 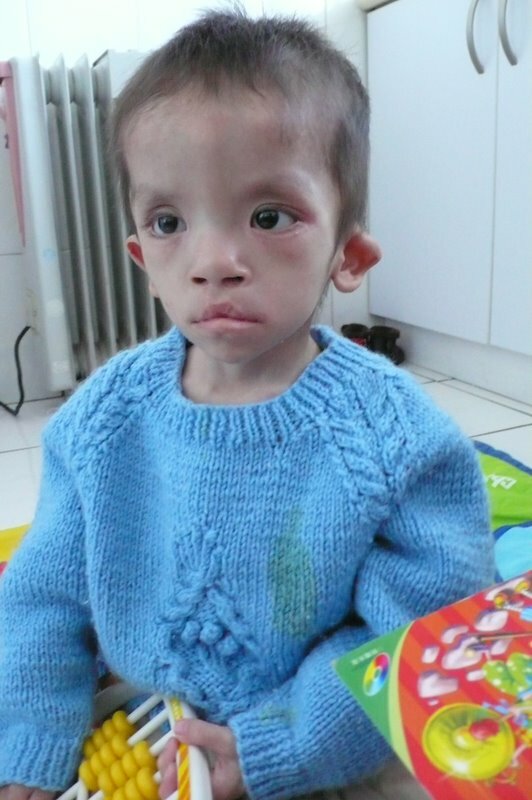 When one looks at these pictures of orphaned children, or children who have severe birth defects, most tend to think that he or she is the child of someone else. That picture was my son, but little did I know he was in a fight for his life. Despite the grim reality that Evan was on his death bed, New Day took him in. They loved him, prayed over him, fed him and gave him everything they had. No one knew for sure what was wrong with him, but they did know that he was a precious soul. They did not give up, and soon, Evan could sit up again, then stand, then walk. He even began to smile. It wasn’t much longer that he was medically stable and could start preschool. Then he was placed into a foster family. 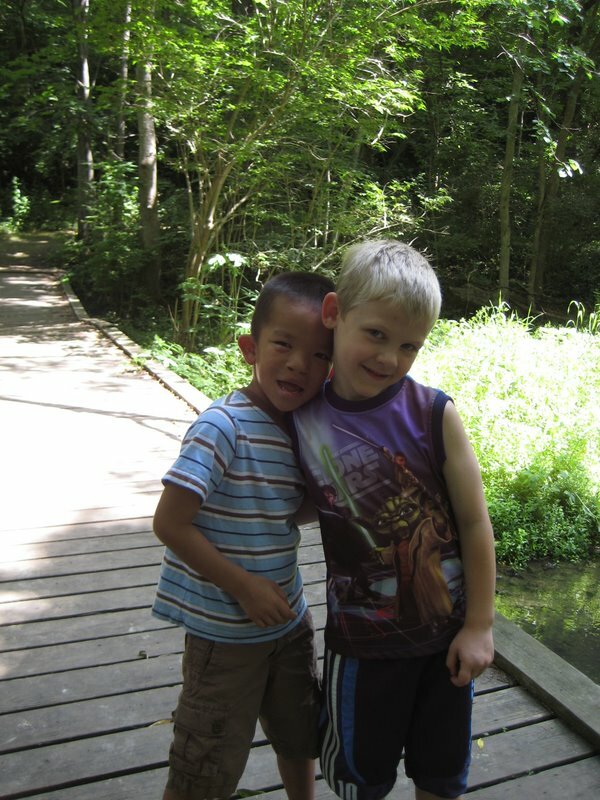 Just a few short weeks after that we received our approval to adopt Evan, and he was home a year later. Evan is remarkable, and Evan is brilliant. He is tenacious and loving and full of joy. It was my child that New Day made all the difference for. It was his life that they made all the difference for. New Day made it possible for Evan to not just survive, but to thrive. Fixing hearts and cleft palates are one thing, but New Day goes far beyond medical care. They also work to heal the soul of the child. They did that for Evan, and continue to do that with each new little life that is under their care. As you can see, Evan is definitely not the same dying little boy who joined the New Day family in December of 2008. He is an amazing and courageous 5 year old with a heart full of love and life full of smiles. Molly blogs at Everyday Miracles. And I will NEVER forget the day that Evan (then Forrest) arrived at New Day. A request went out to the prayer team, along with his fragile photo, and we prayed fervently for that little boy to have a Christmas miracle of his own! It was such a beautiful thing to witness as God began to heal his fragile body and tender soul. He quite literally “blossomed” under New Day's tender loving care! And then to 'meet' his new mama and have the honor of posting for them when they traveled to bring their precious son home… it brought it all full circle and I felt so blessed to witness it all first hand. I will always have a special place in my heart for that precious boy, and I'm SO grateful New Day was there for him in just the nick of time!